Seasonal temperatures are falling and sending the stoney fun indoors. Keep your spirits up with sidesplitting comedy shows, painting at marijuana-friendly art classes, and celebrate the bounty of your legal harvest at Thanksgiving. Here’s The Cannabist’s calendar for the month of November. The post Cannabist calendar: November 2014 has lots of stoney fall happenings appeared first on The Cannabist. 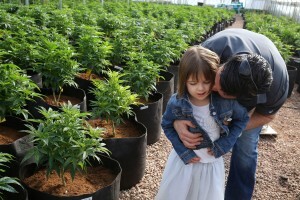 More than 3,000 new patients will soon have access to high-CBD strain Charlotte’s Web, nonprofit Realm of Caring told The Cannabist this week. Realm of Caring administers Charlotte’s Web, one of the best-known CBD strains in America, and keeps tabs on a wait list that tops 12,000 qualifying people who want to see if the low-THC marijuana works for what ails them. The post More than 3,000 new patients will soon have access to Charlotte’s Web appeared first on The Cannabist. What’s going on here? Numerous media outlets ran a report Oct. 31 about marijuana edibles seized in Prince George, Maryland, that had originated from Colorado, along with local police issuing warnings to area parents to be on the lookout for THC-laced treats. The post Coast-to-coast police warnings about pot candy getting ridiculous appeared first on The Cannabist. 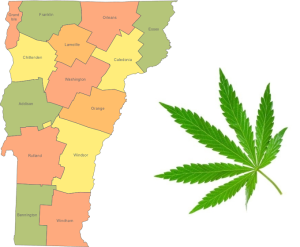 Vermont Governor Peter Schumlin’s administration has announced that they’ll be holding a public hearing on November 12th as part of the state’s continuing examination of cannabis legalization. Shumlin has stated that he wants to see how cannabis legalization works out in Washington State and Colorado before approving such a move in Vermont, but legislation passed this spring requires Administration Secretary Jeb Spaulding to report to the Legislature in January on issues regarding cannabis legalization. The RAND Drug Policy Research Center is helping with the year-long study at the request of Schumlin’s administration; RAND Co-Director Beau Kilmer will join Spaulding for the November 12th hearing, which will take place from 3:30PM to 5:30PM with remote participation available at Vermont Interactive Technologies centers around the state. The post Vermont Governor Announces Public Hearing on Cannabis Legalization appeared first on The Joint Blog.